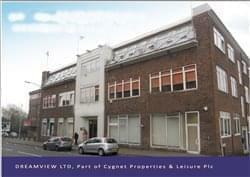 Find My Workspace lists over 95% of the business centres market in Dudley. Simply click Request Quote to check pricing for one office, or Add to Basket for multiple offices. This Business Centre is designed to meet the needs of any organisation that are requiring quality business space. The centre has been developed with tenant needs in mind and provides a variety of accommodation types from one man workstations up to 9,000 Sq Ft. This centre have three fully refurbished meeting rooms available to hire, accommodating between 6 to 20 people. Furnished with high quality, modern furniture, a striking reception and professional on site staff, the office building provides its occupants with a comfortable and practical working environment coupled with a highly professional image. Each of the four floors has newly fitted communal kitchens and toilets for tenant use. It also has secure onsite parking. All accommodation is offered on “all inclusive” agreements. By offering transparent terms and tailor made packages this centre are confident they can provide the right solution for you to join the 30+ local, regional and national businesses who are already proud to be based at Castle Mill. 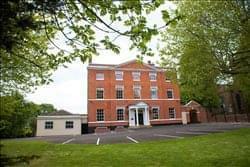 This impressive business centre is an 1890 Grade II listed Georgian mansion; situated within a conservation area in the centre of Dudley, West Midlands. It has recently been refurbished to an exceptionally high standard, to provide a business centre with the best working environment in the region. Directly opposite Dudley Castle (within beautifully landscaped grounds), this new and elegant business centre incorporates 1- 46 desks within 15 executive style offices plus 2 outstanding meeting and conference rooms. All rooms benefit from natural light, smart new decor, high ceilings and large windows to provide a bright and comforting atmosphere to work and meet. This centre offers one monthly charge which includes rates, service charges, utilities and insurance. This centre also holds a luxurious meeting and conference room, inclusive of tea and coffee services upon request. Additional catering also available. More benefits of our offices include: 24 hour access, CCTV, the latest IT, telecoms, high speed broadband and car parking on site plus the addition of excellent transport links. The building also comes with maximum security, reception services, additional telephone answering and mail handling. WC’s and kitchens on all levels along with free refreshments and daily housekeeping. Based in the West Midlands, this refurbished modern office has been opened with the aim of helping you develop and run your business. The centre is open 24 hours and is in a well secured area that allows you full access to your own personal office. The centre comes with a modern, refurbished kitchen accessible on every floor so queues and unnecessary waiting can be kept to a minimum. There is also access to to several communal bathrooms and showers as the centre wishes to encourage cycling or running to work. All offices are fully furnished and come with manned reception and cleaners who will make sure the offices are maintained to a high standard. The offices available are suitable for a number of different sized businesses whether it be a start up or a well established corporation. Access to onsite parking is also available and can be used 24 -ours a day. The centre takes pride in its reputation for a high standard of service. To obtain information for your selected Dudley Business Centres, please tick the "Add to basket" box for each office you prefer and complete the form below. We will then send a detailed report via email.